To All Student Researchers Now Engaged in SSEP Mission 13 to ISS – A Challenge for the Start of Program: Understanding Weightlessness – You Want Me to Take a Bathroom Scale Where? 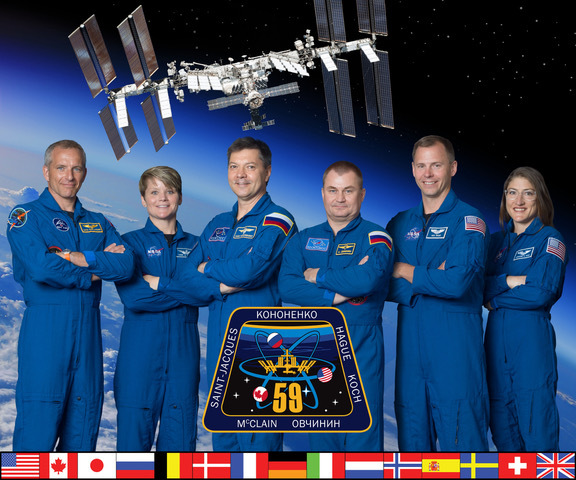 To all SSEP Mission 13 student microgravity researchers, just before his return to Earth on Soyuz 33S, on May 13, 2013, Expedition 35 International Space Station Commander and Canadian astronaut Chris Hadfield – the first Canadian to walk in space –released this video. Watch Chris (and his guitar) and see what weightlessness looks like. We are honored that we can share this with our two SSEP Canadian Communities participating in Mission 13 to ISS – School District #69, Qualicum, British Columbia, and the Edmonton Public School Board, Edmonton, Alberta. When watching this movie you’re invited to go to full screen on your computer and turn up the volume – maybe even project it on a large screen in a classroom and turn off the lights. To all SSEP Mission 13 to ISS Community Program Directors: this Challenge is covered as part of the program start Skype for your community’s Local Team of Mission 13 educators. These Skypes are being conducted by SSEP National Program Director Dr. Jeff Goldstein through Friday, September 28, 2018. This blog post is for teachers in the 38 communities across the U.S., Canada, and Brazil that just started SSEP Mission 13 to ISS. You are invited to use this Challenge with your students to get them thinking about the concept of microgravity (the technical name for the phenomenon of ‘weightlessness’). As part of this Challenge, students are asked to submit what they think is an answer in the ‘Leave a Reply’ section below. Please encourage your students to submit answers, so that all students visiting this blog post can see what other Mission 13 students across the U.S., Canada, and Brazil are thinking. Let’s use this blog post as a social media platform for sharing thoughts about microgravity. The solution to the Challenge will be posted to this SSEP National Blog on Friday, September 21, 2018. I’ve heard a lot about this weightlessness stuff, with astronauts having a great time floating around in space. I’ve even seen astronauts on YouTube videos and in movies (like Chris above), and they’re floating as if they weigh nothing at all. It just seems like maybe there is no gravity in space. I really need to find out what’s going on up there. Since they don’t have a spare seat on the next flight to low Earth orbit (at least not yet), I’m going to look far and wide to find an amazingly tall mountain whose peak rises to the Space Station’s altitude in orbit. 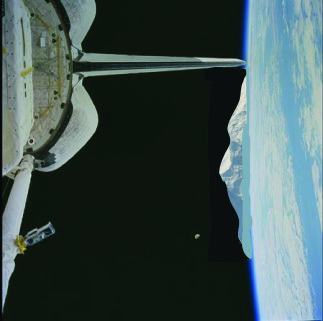 My plan is to climb to the top of this mountain, look really fast in the big window on the Space Station (it’s called the cupola) as Station flies by my face, and see for myself if the astronauts are floating around. The Space Station orbits the Earth close to 260 miles (420 km) above sea level, and, by the way, crew and station are zipping along at 4.7 MILES PER SECOND (7.6 km/sec) relative to you sitting there at your computer. Bam. The Station just moved 4.7 miles. Really. So this week, I’m going to take the time to climb my mountain, and in my hand is my trusty bathroom scale, spring-loaded and guaranteed to be accurate at any altitude. I’ll camp out at the top, and I’ll wait until the Space Station flies by, so I can look in the window and see if those lucky astronauts are weightless and floating around. So here I am on the top of my mountain, and the Space Station just flew by – they WERE floating around, and appeared totally weightless, just like Chris in the video above!! OK, so here I am on top of my mountain, at the exact same altitude above Earth as the astronauts, and now I step on my bathroom scale to see my weight. If I weigh say 150 lbs when I’m standing on my scale in my bathroom at home, what will I weigh on top of my mountain? Hint: You don’t actually need to calculate my weight. I’ll do that in the Solution to the Challenge. Your assignment—if you decide to accept it—is to guess what you think I’ll weigh and why. Hmmmm, lots of possibilities. Submit your guesses below in the ‘Leave a Reply’ section, and remember to include why you think your guess is correct. Students of ALL ages are welcome to post a guess. I’ll even give you a few days to noodle on this in class, and maybe at home with your parents. I’ll post the answer this Friday, September 21, 2018, right here at the SSEP National Blog. See you then, and good luck noodling! Also – if you want to follow along with the latest news from the Student Spaceflight Experiments Program (SSEP), you are invited to subscribe to the SSEP National Blog at the bottom of the right column. The solution to this challenge will be posted here on September 21, 2018. 51 Responses to To All Student Researchers Now Engaged in SSEP Mission 13 to ISS – A Challenge for the Start of Program: Understanding Weightlessness – You Want Me to Take a Bathroom Scale Where? I think you would weigh less because there is not that much gravity up in space would be in a. Free fall just like the guys in the space station. You would weigh 10% less gravity.